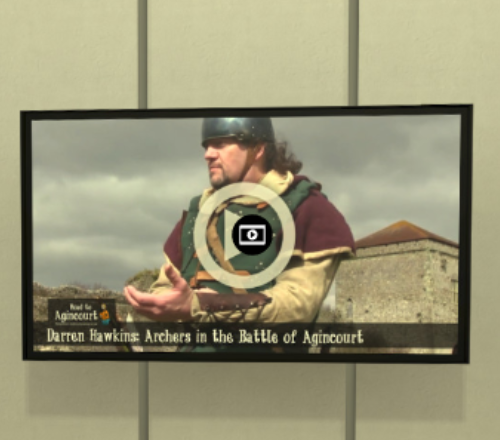 This gallery provides a fascinating insight into the life of a medieval archer and what they would have had to have worn and endured during the Battle of Agincourt. This room also provides background the sword fighting and the techniques and strategies of medieval fighting. The room also covers the creation of the Road to Glory youth theatre play: its music, set design and the writing of the play.